got my citizen card in the mail a few days ago. Super excited, and finally got to see what my 300i is going to look like. I'm a little annoyed that I cant just upgrade to the 350r, I'd have to purchase it outright. 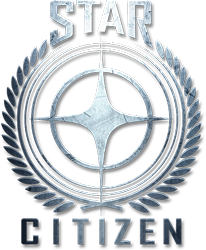 I'm surprised no one on OCC has mentioned Star Citizen in any of the threads yet! So I've decided to start a thread for the game. What is Star Citizen? Star Citizen is a upcoming space mmo game being developed for the PC Platform. The game will consist of two main elements a persistent MMO world and a single player space combat campaign spanning 50 - 70 mission(what we know now) with drop in cooperative multiplayer. Upon release all the tools for private server modding will be available! Star Citizen will have full support for Occulus Rift and Virtuix Omni. Its a crowdfunded game(holds the record for crowdfunding at the moment) that started off on kickstarter last year, and is being work on by Chris Roberts the mind behind the old wing commander and freelancer games! The game is set to release early 2015 but it already has a hangar module out for backers of the game right now. The combat module is set to release this December! Hopefully I'll see some of you guys in the verse! Crowdfunding is sitting at 33 million dollars at the moment! Happy Thanks giving everyone! Got the threads combined to keep all info in one place. Oh don't understand how typing in Star Citizen into the search bar for the forum didn't pick up this thread. I hope this lives up to all the hype, I haven't been following too much on it, just watched a few youtube vids. I've been wanting to get into a good space combat/sim for awhile now. I tried my hand at X3 a year ago but didn't have the patience to get into it. Anyone play Colony Wars back on PS1 back in the day? Now that was fun space combat! Funny because Chris Roberts, who made Wing Commander, is the dude making Star Citizen. This is gunna be sick! Any one else as excited as I am about star citizen?! Thoughts, opinions, feedback, worries, ect.